Jean-Marc Gagnon is an expert on marine invertebrates at the Canadian Museum of Nature. During the Canada C3 voyage, his team will be assembling a collection of marine invertebrates that live on the bottom of the ocean, close to shore and off-shore, and those that are free floating as plankton. 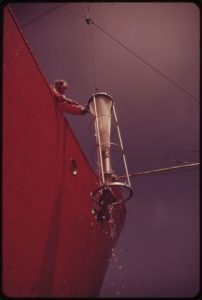 This pan-Canadian collection will be included in the national collection and will be available to other researchers from the voyage or other scientists that may have research questions.